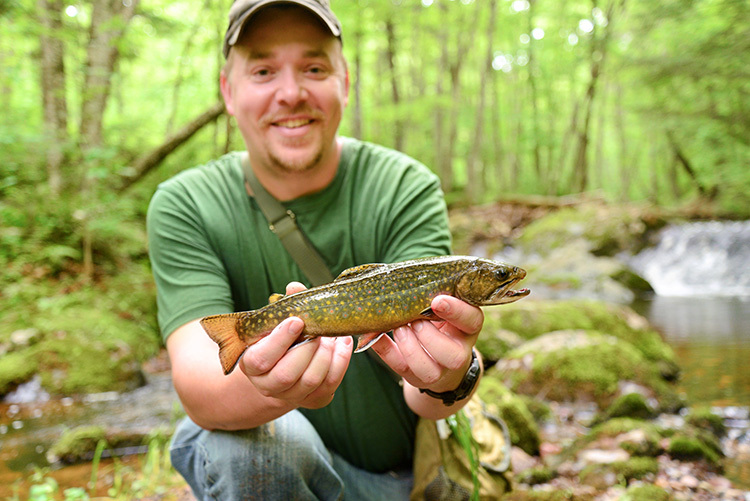 For most of us, fishing conjures up images of a lazy day on the water, occasionally reeling in some finned beauties which are then proudly displayed in family pictures or cooked over a campfire. But generally speaking, fishing is not quite as simple as just dropping a line and waiting to see what bites. Here are ten easy fishing tips to ensure that beginning fishermen (of all ages) get the most from this relaxing, family-friendly sport. The first “must-have”? A fishing license. Check your local regulations, because different areas and bodies of water have different laws and “limits” as to what you can catch. Licenses are relatively cheap, so don’t skip this important step. If you’re caught without one, you’ll feel worse than if you’d taken a hook to the cheek. When it comes to fishing, there are different skill levels, some that are hair-raisingly difficult (think, those guys in Jaws.) Build your confidence by targeting smaller fish like catfish, carp, sunfish, perch, trout or smallmouth bass (these will depend on where you live). Beginners should stick to shallower, open waters like ponds, streams and lakes to up their chances of reeling one in. Start by asking those who’ve been fishing for awhile for suggestions on the best locations. Experienced anglers know that it’s easier to draw fish out at a point where two rivers or streams meet. If you’re fishing on a lake or pond on a windy day, head to where the waves are crashing; fish will be pushed closer to the shore to eat. Some fish like to hang out near weed beds, or around “sunken treasures” like branches, fallen trees and the like; it gives them cover to feed. 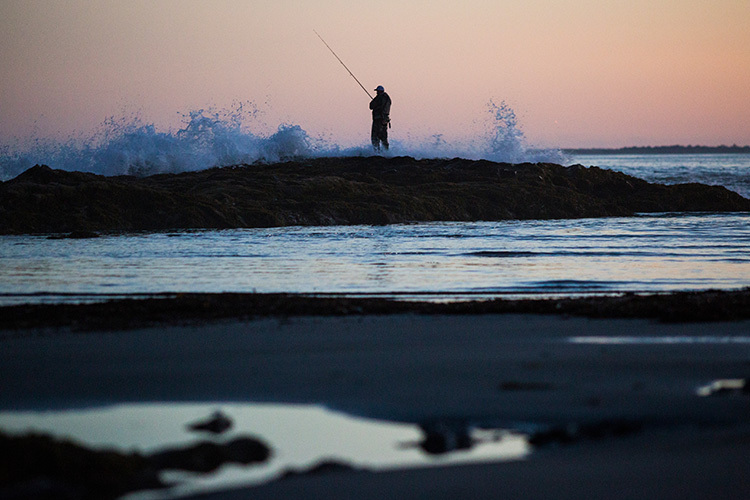 Early mornings and evenings can improve your odds, as can fishing on overcast or light rainy days. 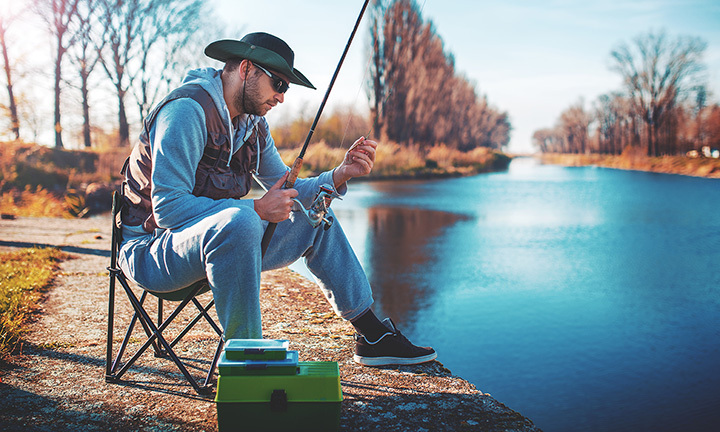 When seeking out your prime fishing spot, always be aware of potential safety hazards: low-hanging branches, power lines and the like that could snag your fishing line. Not only can it be annoying – it may prove dangerous. Scout your spot carefully. Beginning anglers can be overwhelmed by the amount of stuff that’s available at the sporting goods store. For the time being, stick to the basics. You’ll need a rod and reel, and a simple tackle kit, which will contain bobbers, hooks and sinkers. There are versions of each of these that are specially sized for kids, too. You need something interesting to attract a fish to your hook. 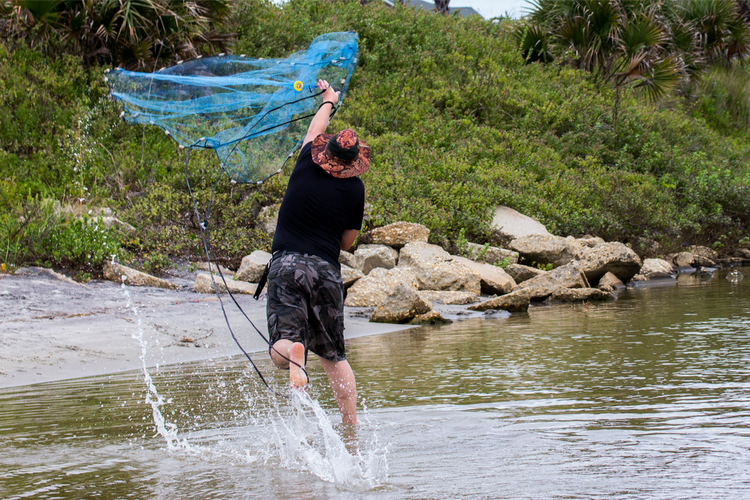 Many fishermen swear by live bait, like worms, small shrimp, insects, minnows and the like. Artificial lures can also do the trick; they’re designed to mimic a live critter. Consult a local expert for their take on what works best for the kind of fish you’re trying to snag – and for what is “legal” in your area. 6. HOW DO YOU KNOW THEY’RE GOING FOR IT? A “bobber” attached to your line will give you a hint that the fish are interested (if it gets pulled under the water). 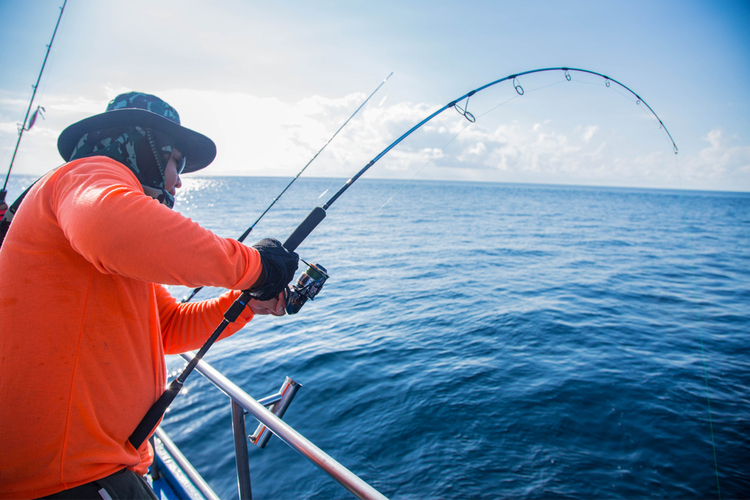 Over time, you’ll also learn to distinguish the “feel” of the line as a fish takes a bite (versus how it feels when the hook gets snagged on an underwater obstacle). No matter how placid that body of water appears, never, EVER take it for granted. Drowning is one of the most common causes of death for kids and teens. Kids should always be outfitted with an approved flotation device, especially when fishing from a boat. Other items that should be part of your “kit” include: bug spray, sunscreen (those reflected rays can major damage before you know it), a first-aid kit, polarized sunglasses (to protect your eyes the sun, but also from errant hooks), a hat and appropriate shoes. 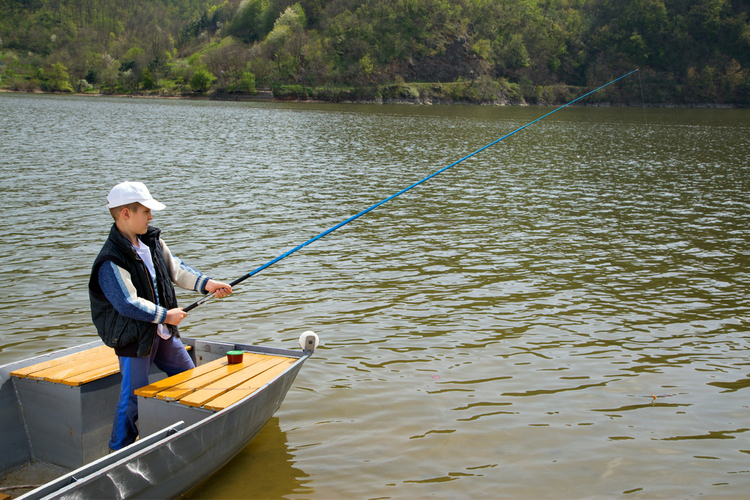 Other safe behavior includes handling your “tackle” (meaning: rod, reel and hooks) in a responsible way. Know where it is at all times, ‘cause you don’t want someone snagging a hook with a bare foot or hand. On a similar note, always look behind you before casting, so that you don’t accidentally “hook” a person or power line. That’s only funny in the movies. Your first fishing trips will be much more productive if you practice “casting” your line before you go. Don’t try anything fancy: practice a standard “overhead” cast. Again, before you begin, always look behind you for potential obstacles – which includes people. As much as you’d like to bag the “big one” on your first try, it may not happen. Beginning fishermen should practice their skills over a few closely-spaced trips (that don’t last too long). Fishing just once or twice a year is like starting over again -- and again. Hitting the water more frequently builds confidence and increases your chances of nabbing that fish that you’ll be bragging about for the next decade. You’re out enjoying a day on the water when you notice ominous clouds gathering in the distance. The thing is, weather can change in an instant, and you need to respect that. If things look the least bit sketchy, head to shore as soon as you can; anything (or anyone) above water level becomes a “target” for lightning strikes. If you’re caught in open water during a storm, stay low in your boat and as close to the center as possible.